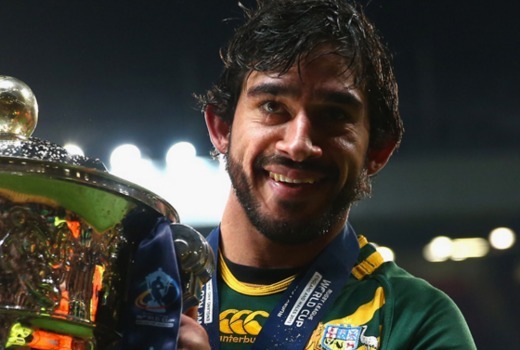 North Queensland Cowboy’s Johnathan Thurston has signed a five-year network deal with Nine. He will have “a central role” on the NRL Footy Show as a regular co-host and contributor. He will also feature in Nine News exclusives and match commentary. After he retires his presence will increase. Executive Producer Glenn Pallister, said: “I’m thrilled to have secured the best and most popular player in the game to be a part of the Channel Nine team for the next five years, be it on The Footy Show or our NRL coverage. “I’m very excited to be joining the Channel Nine family where I will continue to develop my media career with the talented team on The Footy Show and the match day commentary team. Nine is live and free and has the best in the business, and I look forward to being a part of that,” said Thurston. Nine’s Director of Sport, Tom Malone, said: “It’s a terrific signing by Coach Pallister, easily the biggest of the off-season. JT is the biggest name in rugby league, with the best laugh in Australia – bar none.